Fishing season in Minnesota is right around the corner. If you are trying to decide what type of motor to invest in for your boat, there are a lot of important factors to consider. You obviously need a motor that is fairly quiet so that you do not scare the fish away, but you want enough power to get you where you want to go. At Anchor Marine Repair, we help our customers with all types of boat repair and therefore have some basic information about selecting the best trolling motor for your boat. Thrust: Thrust is arguably the most important factor to consider when purchasing a motor for your boat. It is the measurement of how powerful your trolling motor is. The larger your boat and the stronger the water in which you will be fishing, the more thrust you will need your motor to have. For example, a mid-size boat that weighs approximately 3000 lbs and 18’ length should have a thrust of 60-70. Fishing Location/Conditions: The area in which you do the majority of your fishing is one of the main considerations when buying a motor. For example, you need less thrust if you are planning to fish in a small body of water that is small with minimum current. If you are planning to fish in saltwater or on a large lake with a lot of current or boat traffic, you will want to purchase a motor with more thrust. Where to Mount the Motor: Generally, this is a personal preference, and depends somewhat on the boat size and your budget. Transom mounts are ideal for smaller boats, are fairly inexpensive and are operated by hand. Bow motors are more expensive but allow for more precise steering (can even be hands free, using a pedal). Shaft length: You need to make sure that the shaft length of the trolling motor is proportional to the size of your boat. Anchor Marine Repair of Delano, MN is the #1 boat repair shop in the Minneapolis area. 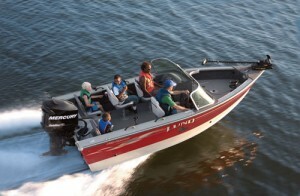 Each of our technicians is extremely knowledgeable about boats and has more than a decade of service in the industry. If you have questions about a purchase or would like advice on how to choose a motor or other piece of boating equipment, pick up the phone and call us at 763-972-3540 or stop by our state of the art facility conveniently located at 667 Babcock Boulevard, Delano, MN, 55328.